Product prices and availability are accurate as of 2019-04-17 16:58:40 UTC and are subject to change. Any price and availability information displayed on http://www.amazon.com/ at the time of purchase will apply to the purchase of this product. Velcro strap design,easy to install and remove. You can carry tools and other small essentials in the this triangle frame bag. Water resistant.It adopts waterproof material, solid and durable. 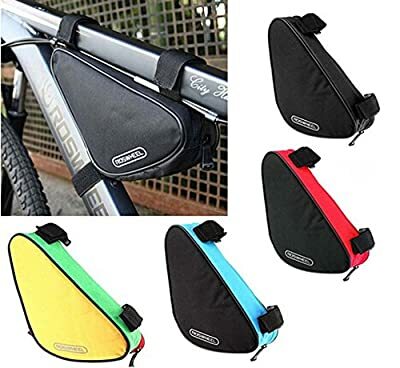 It has 3 velcro straps,making it suitable for a variety of bicycles. Material:600D polyester.Capacity:1.5L.Suitable for any bicycle.